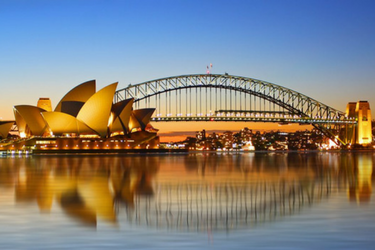 Bankwest tasked TLC Marketing with a challenge to drive foot traffic into Bankwest Stores, with the purpose store to receive a free financial health check . 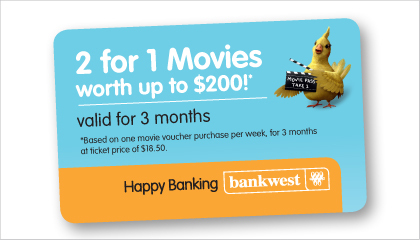 -Incentivizing customers to refer a friend to Bankwest, who then completes a financial health check. 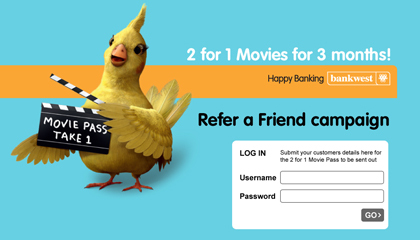 Customer is rewarded with a 2 for 1 movie voucher valid for multiple use over three months. 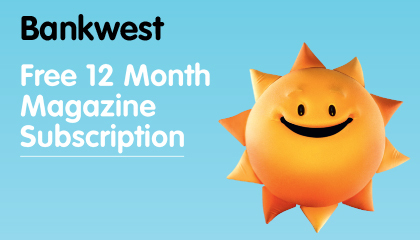 -Rewarding Customers who attend a financial health check appointment at Bankwest with a free 12 month magazine subscription.